The DAF NT3300 is a very unique truck. 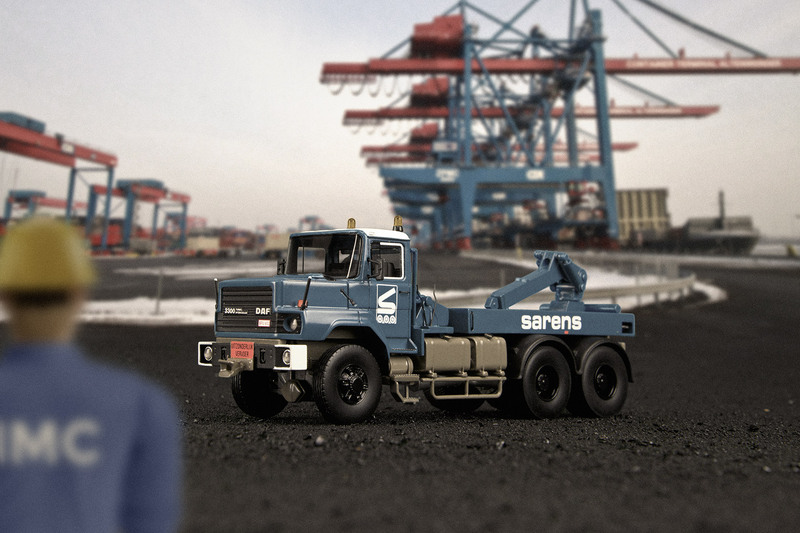 The DAF N model was developed for heavy work applications in export. The series was introduced with the N2800, with the iconic 11,6 liter 6 cylinder DAF engine under the hood. The NT3300 withstands the toughest conditions. 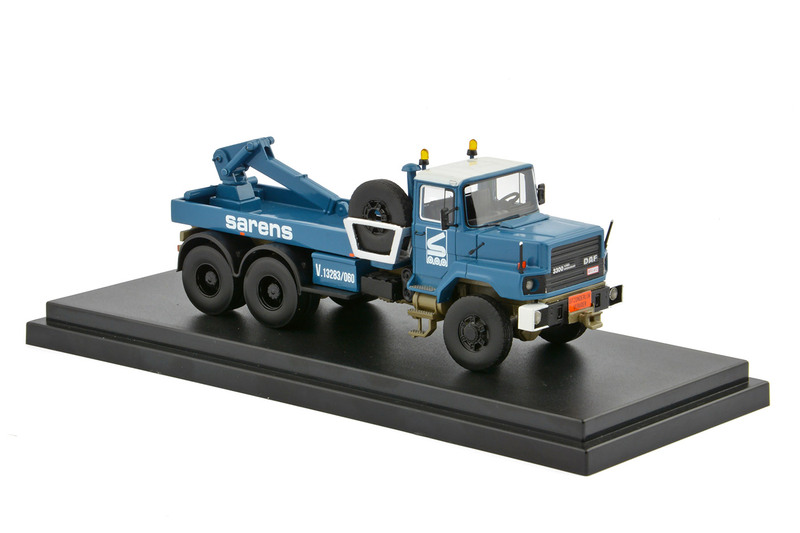 Usually configured in 6×4 chassis version, only one NT3300 was ever built as a 6×6 truck. 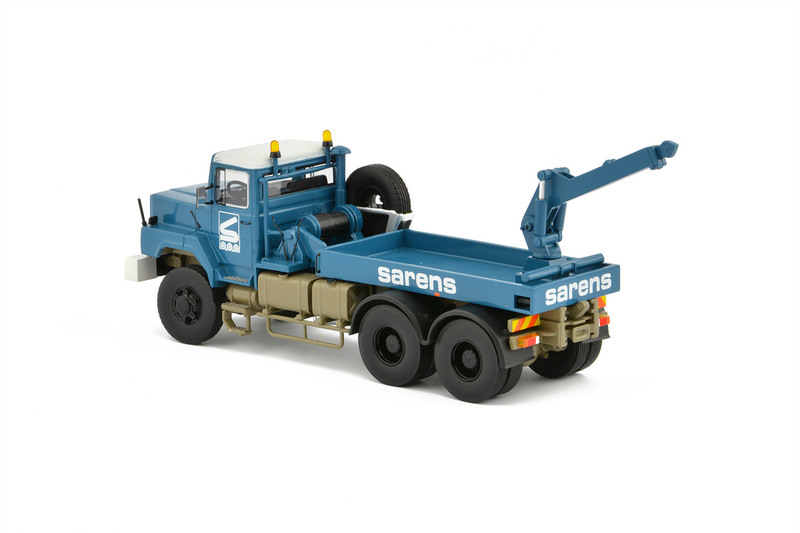 This prototype ended up in the Sarens fleet and over the years of his long career pulled many heavy loads all over the world. 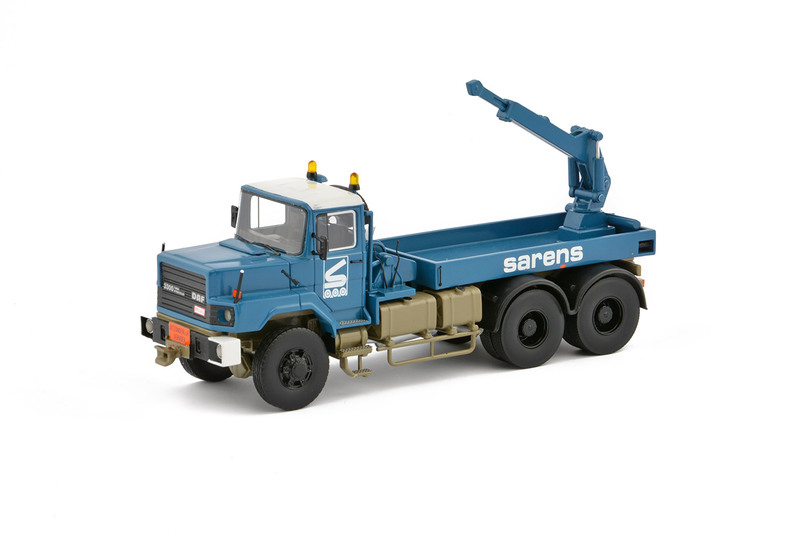 IMC Models is very proud to introduce a high quality 1:50 scale model of the Sarens DAF NT3300 for the Sarens Shop. The model features all details and comes in the original version with Trilex rims and beige chassis. 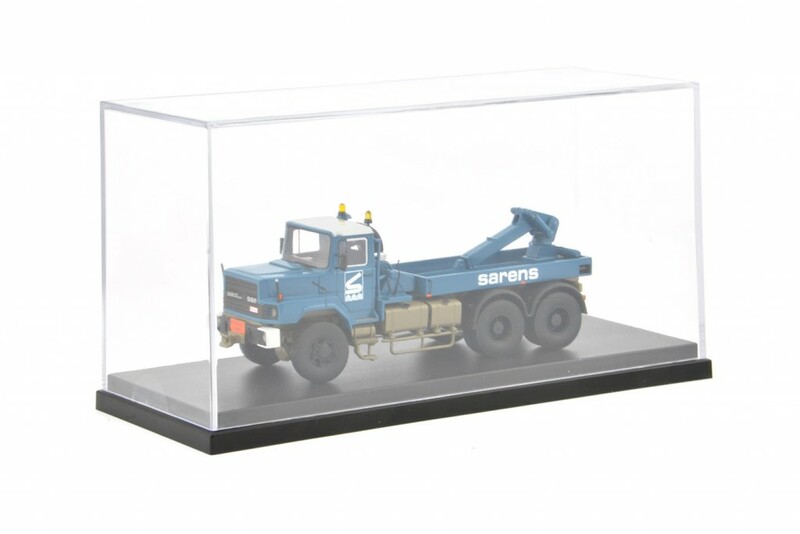 The NT3300 model is delivered in a nice showcase and will surely be the center piece of every heavy haulage collection.